Anyone who has tried meal prepping knows how boring it is. Seriously, how can someone eat grilled chicken breasts and steamed broccoli for seven days straight? 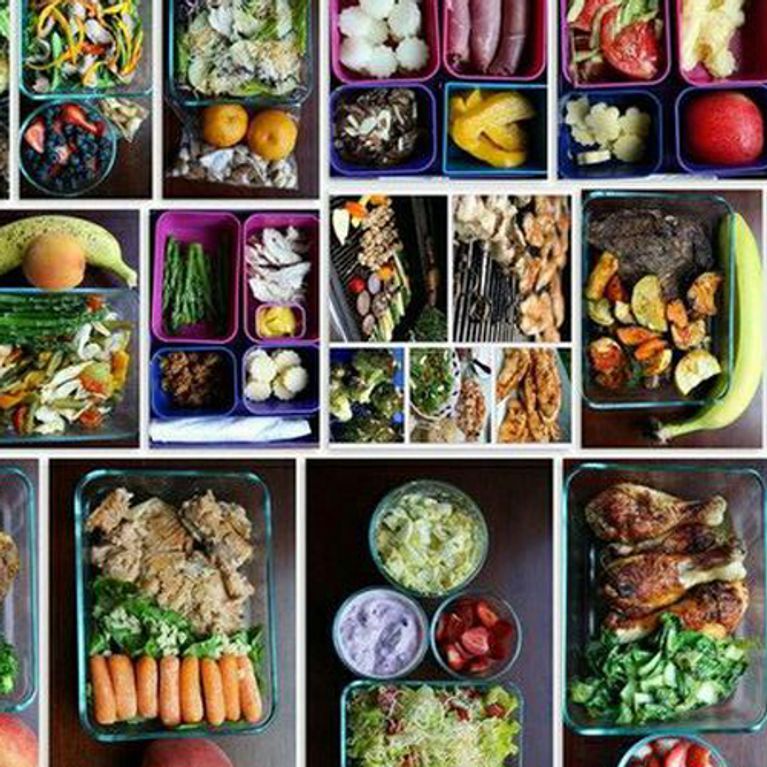 But believe it or not, prepped meals don’t have to be dull and we've found seven ideas to last you through the week that prove just that. For those of you who don’t know, meal prepping is when you cook in bulk for the week ahead - who would have thought? It’s a great way to save time and also stay on the healthy track; the idea being you are less likely to binge or eat badly if the meals are cooked and ready to go. All great stuff really, however when you're trying to cook in bulk things can get a little unimaginative, really quickly. ​So we've scoured the web to make sure your seven-day meal prep stays on form. Turkey makes for a healthier alternative to ground beef, plus the mashed cauliflower taste very similar to mashed potatoes but with much fewer carbs. Top with some chopped herbs for added flavour. Tilapia is a great source of high quality protein and has a low fat content, so it's perfect for anyone trying to lose weight. Have it with some peppers and quinoa for a balanced meal loaded with protein, fibre and minerals. What’s great about this meal is that you can use whatever protein you have, so if you don’t fancy chicken, you can switch it up with beef or even salmon and still get the same great taste. You can even make it into a vegan meal by swapping the protein for tofu or tempeh. This salad is packed full of goodness with spinach, kale, quinoa, sweet potato, boiled eggs and avocado all in one handy pot. It’s so good for you and sure to make you fuller for longer. Scallops are a great source of protein and are a welcomed change to chicken. Prep' them on a bed of quinoa, mushrooms and sautéed squash. This meal alone shows that healthy eating is far from dull. Easy to make, delicious and full of health benefits - even if it is chicken. Cashews are a great addition to this salad as they are a good source of protein and are rich in magnesium, which is required for proper muscle functioning. So this is great for a post-gym meal.